Autumn song : for unaccompanied mixed chorus (SATBarB) / Peter Sculthorpe ; words by Roger Covell. 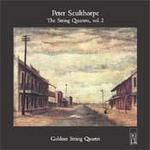 Autumn song : for string orchestra / Peter Sculthorpe. Autumn song : for string quartet / Peter Sculthorpe. 29 Sep 2018: at Song Company: Four-Colour-Season (The Independent Theatre). Featuring The Song Company. 28 Sep 2018: at Song Company: Four-Colour-Season (Joan Sutherland Performing Arts Centre). Featuring The Song Company. 23 Sep 2018: at Song Company: Four-Colour-Season (Griffith Regional Theatre). Featuring The Song Company. 20 Sep 2018: at Song Company: Four-Colour-Season (Harold Lobb Concert Hall, Newcastle Conservatorium of Music). Featuring The Song Company. 18 Sep 2018: at Song Company: Four-Colour-Season (Darling Quarter Theatre). Featuring The Song Company. 15 Sep 2018: at Song Company: Four-Colour-Season (Nexus Venue). Featuring The Song Company. 14 Sep 2018: at Song Company: Four-Colour-Season (Ballarat Fine Art Gallery). Featuring The Song Company. 13 Sep 2018: at Song Company: Four-Colour-Season (Deakin Edge). Featuring The Song Company. 8 Sep 2018: at Song Company: Four-Colour-Season (Wollongong Art Gallery). Featuring The Song Company. 7 Sep 2018: at Song Company: Four-Colour-Season (The Street Theatre, Canberra). Featuring The Song Company. 4 Sep 2018: at Song Company: Four-Colour-Season (Spring Hill Reservoir, Brisbane). Featuring The Song Company. 30 Aug 2018: at Song Company: Four-Colour-Season (Yellow House Gallery). Featuring The Song Company. 4 Aug 2018: at Dance | Chant : Celebrating Ross Edwards (City Recital Hall Angel Place). Featuring Sydney Chamber Choir. 22 Jun 14: Cranbourne Masonic Centre, VIC. Featuring Da Capo Singers, Simon Loveless. 22 Jun 2014: at Da Capo Singers: Southern Sounds (Cranbourne Masonic Centre). Featuring Simon Loveless, Da Capo Singers. 5 Jun 2010: at The Listening Land (Berwick Masonic Hall). Featuring Simon Loveless, Da Capo Singers. 27 Jun 2009: at Sacred Songs and Lullabies (City Recital Hall Angel Place). Featuring Paul Stanhope, Sydney Chamber Choir.